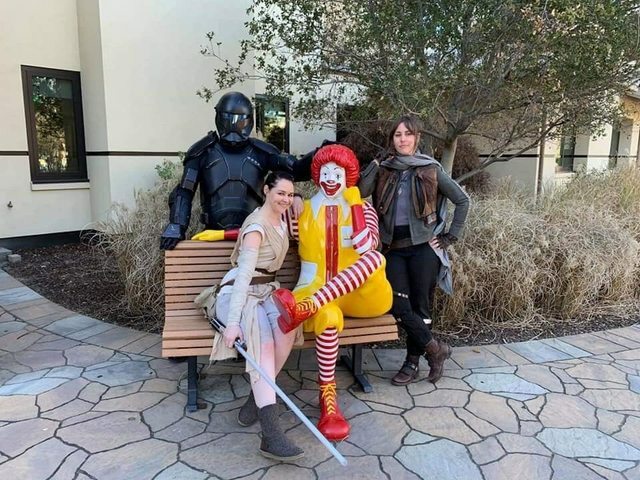 Jason Goldman-Hall | RC-1309 "Niner"
Members of Endor Base joined with allies from the Saber Guild and 501st Legion to greet patients and families at the Ronald McDonald House before and during the Raider Drive Booster Club's family event and taco feast. 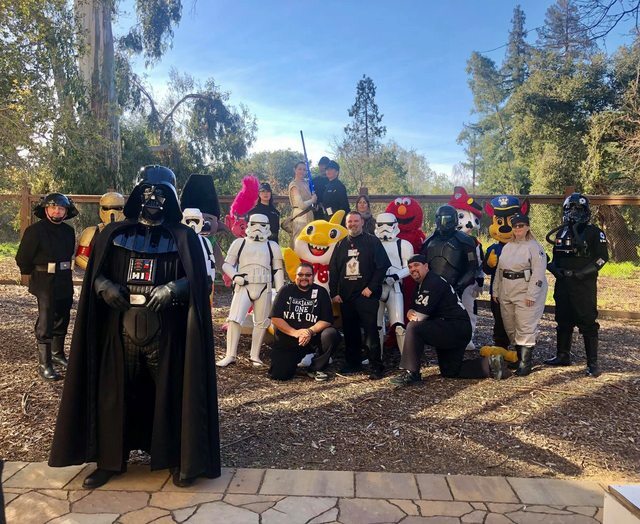 We divided into two groups, wandered the campus greeting families, and entertained guests along with other non-Star Wars costumed characters. Members posed for photos, gave high-5s, looked at Magic cards, and tried their best not to get "Baby Shark" stuck in their heads forever.